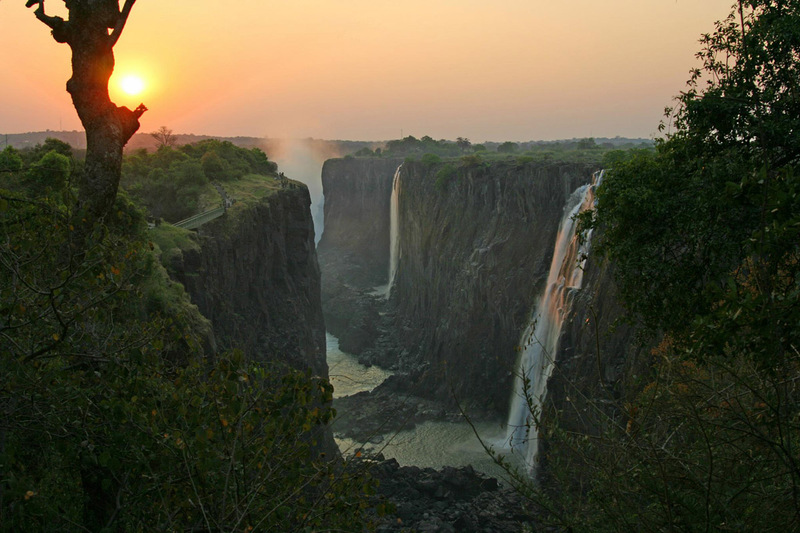 Victoria Falls is located on the border between Zambia and Zimbabwe and is one of the world’s most spectacular natural wonders. 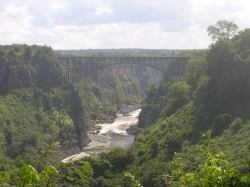 The Zambezi River flows placidly until it reaches a broad edge measuring 1700 meters and plunges 100 meters into the frothy, thunderous abyss below. 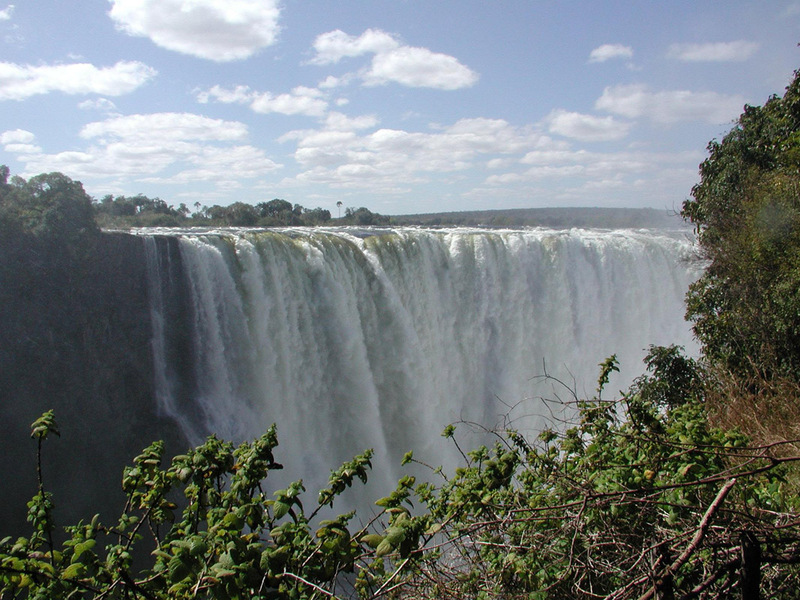 The first European to see the falls was David Livingstone in November of 1855. However, records show that other foreigners had visited the falls before him. 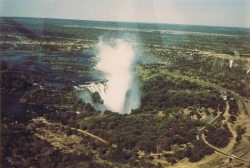 Livingstone first viewed the falls from the island before the first drop. 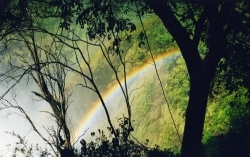 He named the site Victoria Falls in honor of the queen, and the island was called Livingstone Island after him. 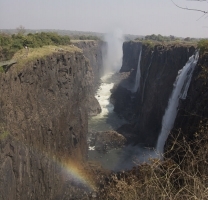 Even though it is not the highest or the widest waterfall, Victoria Falls is considered the biggest waterfall in the whole world as it has the widest sheet of falling water in the world. 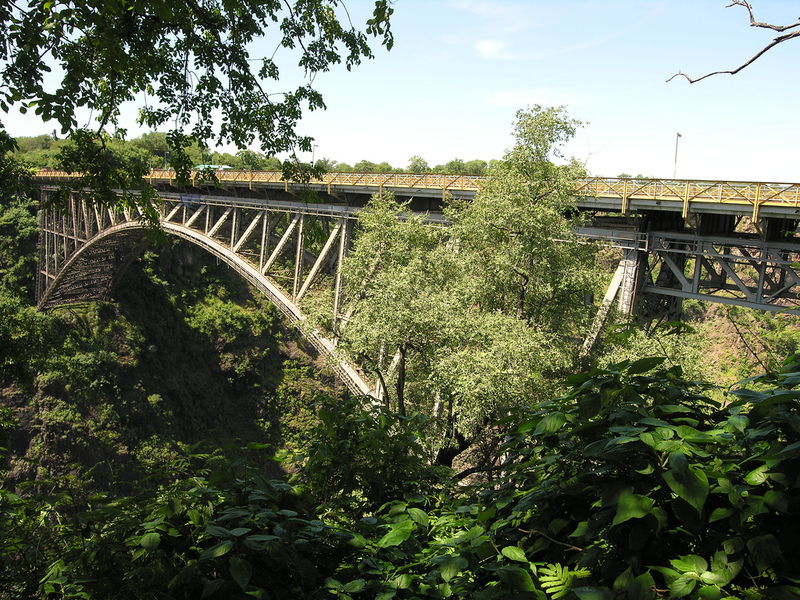 The falls have become a very popular place for visitors to go white water rafting, river boarding, and even bungee jumping. The downstream rapids of the river after the falls provide some of the scariest river boarding and white water rafting for beginners, as well as for those with experience. 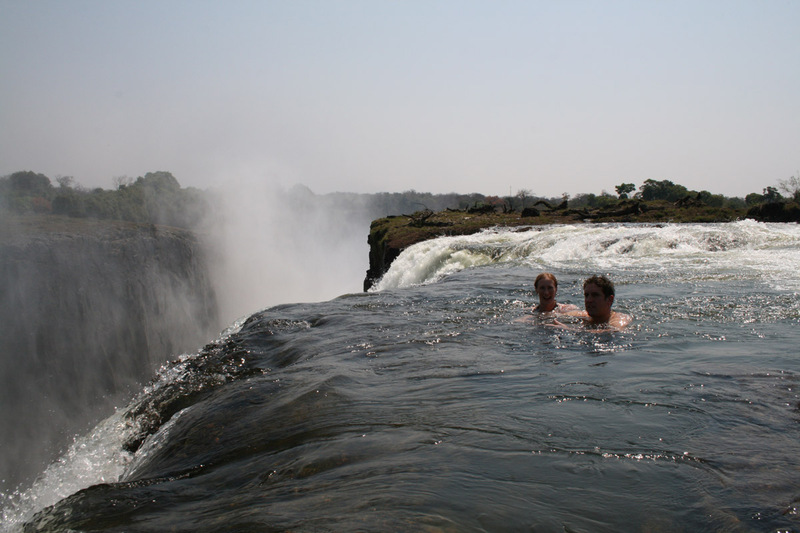 Bungee jumpers also enjoy the thrill of Victoria Falls. Adventurers can jump down 111 meters off of the bridge by the falls, which was just recently named the highest commercial bungee jump in the world. 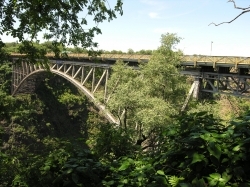 Aside from rafting and bungee jumping, however, visitors can also enjoy bird watching, aerial trips on a helicopter, walking trails, and shopping. "Devil Swimming Pool" - Is This Safe? 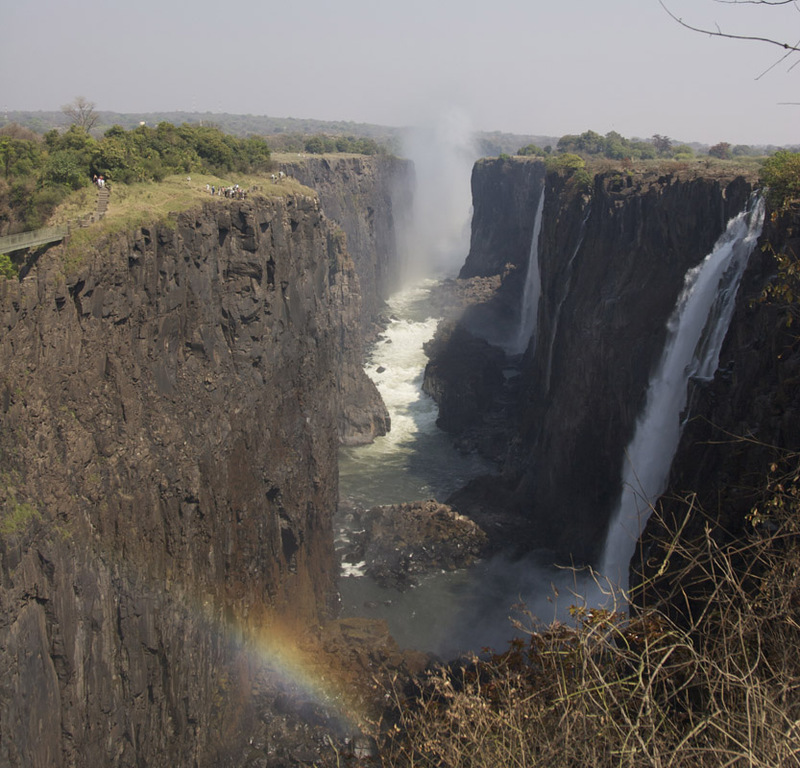 Many will see it as rude and disrespectful to suggest that the Victoria Falls was never seen before November 1855. 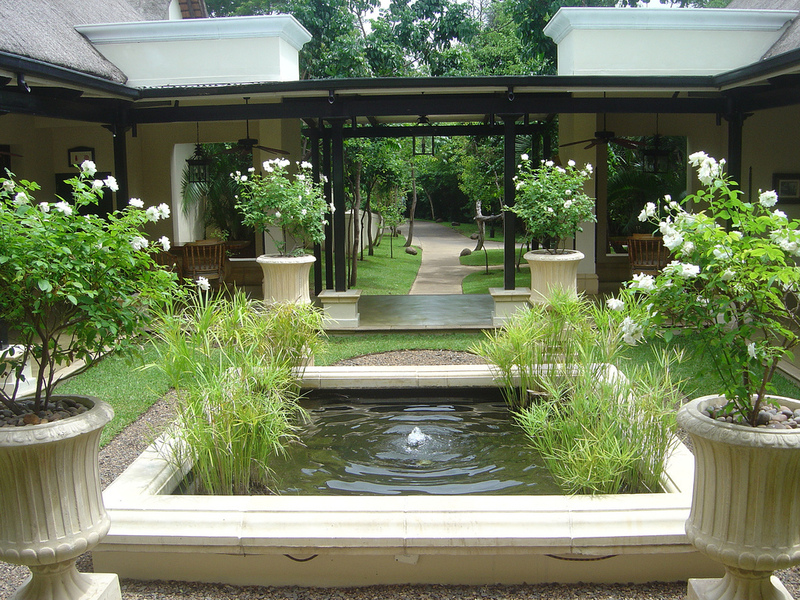 Of course, one can never belittle the work of Dr. David Livingstone and the impact he had on the region. 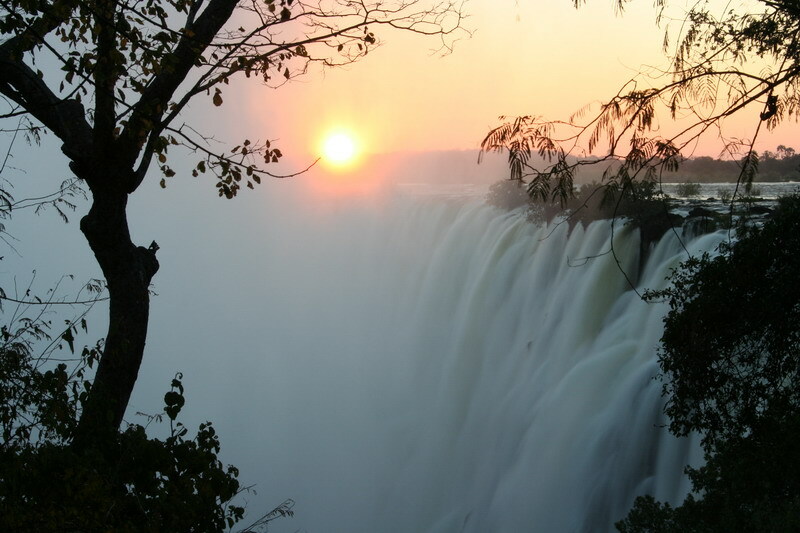 However, he did not discover the Victoria Falls. He is merely the first European to see it. Zambians for centuries had known of the Falls and even have a name for it – Mosi-oa-Tunya, which means ‘The Smoke that Thunders’. In my opinion, this is a name that is more befitting of such a spectacle of nature’s majesty. Zambians are a very warm and loving people. Please do not disregard their history and heritage. WOOOOOW!!!! 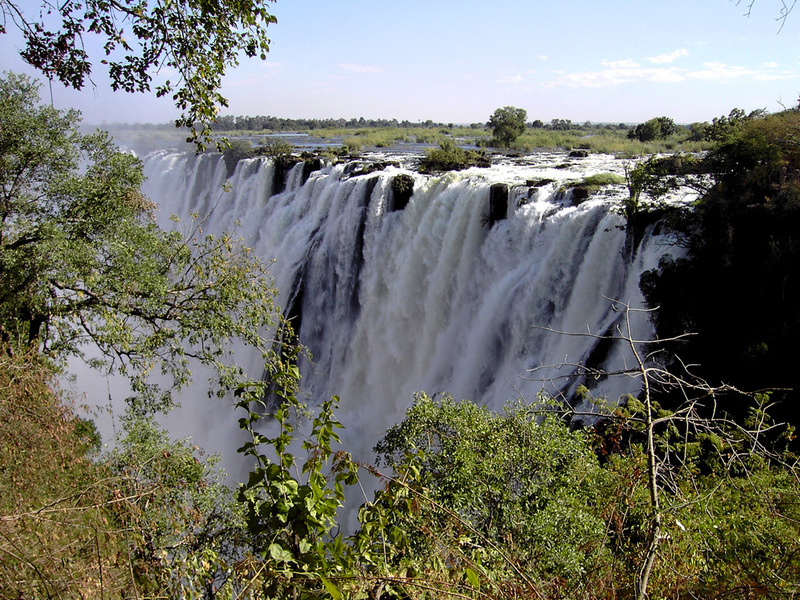 i thought that the niagara falls was the only gigantic water fall there was in the world, but guess what?…MOTHER AFRICA DOES IT AGAIN!!!! !..and woooe i wonder did those two people swimming on the edge ever fall off and if they did not then how not??? always some one willing to defy nature and press thier luck,lololol??? this place is great cant lie one day i wish to go there God willing one can be the to help reach that dream amen………….. 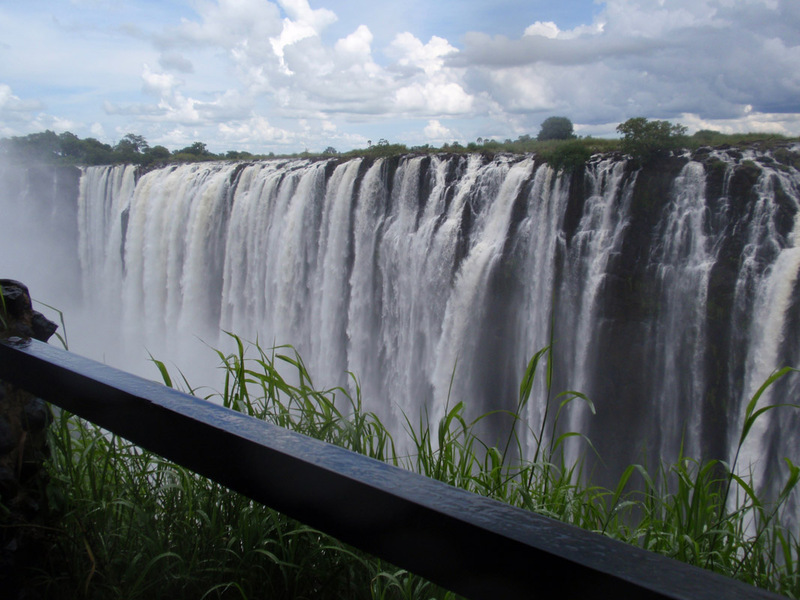 The victoria falls is very nice i seem to like it!!!!!! i believe that u have very up to date knowledge of the content..
it is beautiful but why would anyone swim there? I came to this site after writing an article based on the work of John Rousas Rushdoony. He is the father of Christian Reconstruction movement. I found out that Zambia is actively engaged in implementing the principles of Christian Reconstruction. And then as I read Wikipedia, I saw this beautiful picture of Victoria Falls. I just wander why though it is the largest waterfall in the world and even bigger than Niagara Falls, most people like me never heard of it? let me advise you , if you plan to travel to victoria falls, its better you visit ZIMBABWE side its cleaner, cheaper, better hotels like KINGDOM HOTEL, ELEPHANTS HILLS, VICTORIA FALLS HOTEL, activities its cheaper in zimbabwe side than zambia side by faaaaaaaaaaaaaaaaaaaaaaaaaaaaaaaaaaaaaaaaaaaaaaaaaaaaaaaarrrrr. i love victoria falls its amazing sooooooooooooo cooooooool ! You haven’t seen anything yet. 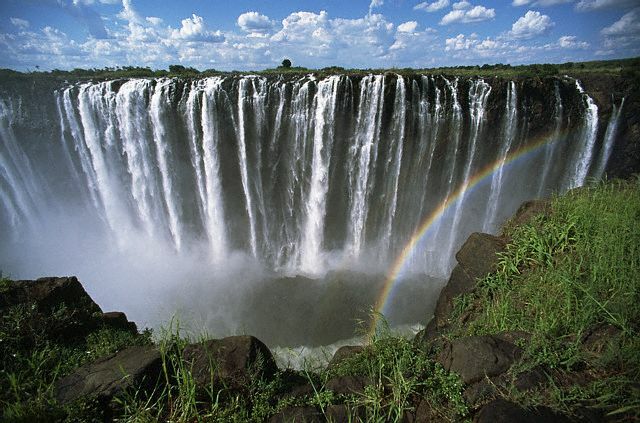 Go to Zambia and see the other 10 waterfalls, they are beautiful!!! 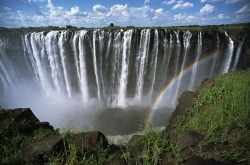 i am studying about victoria falls!!!!!!!!!!!!!!!!!!!!!!!!!!!!!!!!!!!!!!!!!!!!!!!!!!!!!!!!!!!!!!!!!!!!!!!!!!!!!!!!!!!!!!!!!!!!!!!!!!!!!!!!!!!!!!!!!!!!!!!!!!!!!!!!!!!!!!!!!!!!!!!!!!!!!!!!!!!!!!!!!!!!!!!!!!!!!!!!!!!!!!! 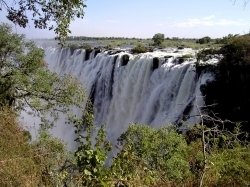 How rude, for this website to say that “Livingstone” discovered Vic Falls?? 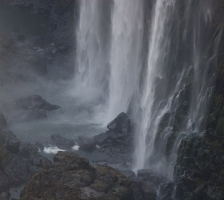 I this day and age surely we have more sense to know that Human beings have lived around Victoria Falls for a very long time before Livingstone arrived, or are the indigenous people not count as the first to “Discover” what lays in their own backyard??? I taught in the town of Livingstone for a number of years and often visited the Falls. Sipping beer at the riverside before sunfall and hearing the cow-like moan of a hippo in the River Zambesi a few hundred metres above the waterfall is one of the memorable experiences. 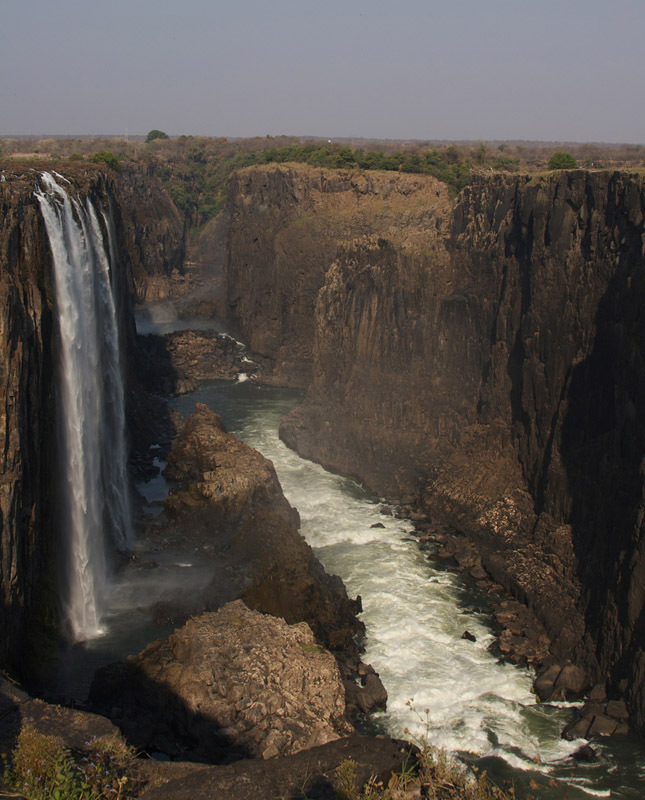 During a long dry spell the river shrank enormously and the grey-brown cliffs of the falls were revealed – an adventurous person could have walked out along the flat rock about a third of the way. 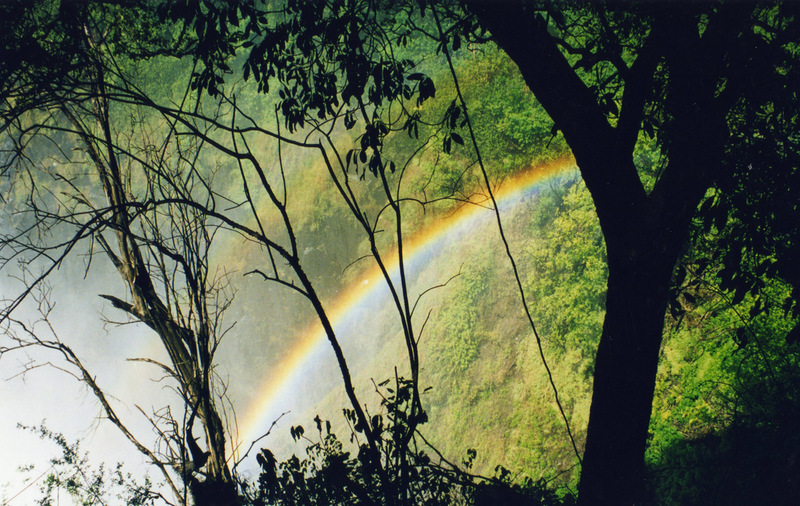 A walk down to the rain forest on the Zambian side is another awesome experience. It really feels like the land of Tarzan down there among the trees and creepers. wonder is wonder,amazing site,it’s too beautiful. OMG!!!!!! IM STUDYING IT TOO!!!!!!!!!!!!!!!!!!!!!!!!!!!!!!!!!!!!!!!!!!!!!!!!!!!!!!!!!!!!!!!!!!!!!!!!!!!!!!!!!!!!!!!!!!!!!!!!!!!!!!!!!!!!!!!!!!!!!!!!!!!!!!!!!!!!!!!!!!!!!!!!!!!!!!!!!!!!!!!!!!!!!!!!!!!!!!!!!!!!!!!!!!!!!!!!!!!!!!!!!!!!!!!!!!!!!!!!!!!!!!!!!!!!!!!!!!!!!!!!!!!!!!!!!!!!!!!!!!!!!!!!!!!!!!!!!!!!!!!!!!!!!!!!!!!!!!!!!!! !